Modern and very cozy Non smoking apartment, on a size of 65 sqm, on the Wurster North Sea coast with 2 bedrooms incl. Baby travel bed, ideal for 4 people. You enter the apartment and go through the hallway with cloakroom and shoe cabinet right into the modern bathroom and straight out into the modern kitchen with a cozy sitting area and sofa to relax. The kitchen is with everything you need on holiday, very well equipped, there are plenty of dishes and cutlery, and a dishwasher that does the washing up for you. The apartment is flooded with light and offers you on the upper floor two bedrooms, the master bedroom with double bed and wardrobe, and a TV area as a retreat. The children's room has a loft bed, which has a width of 1.40 cm and above a width of 90 cm and also a wardrobe, and a baby travel bed. The bedrooms can be darkened, with Veluxrollos and mosquito repellent. 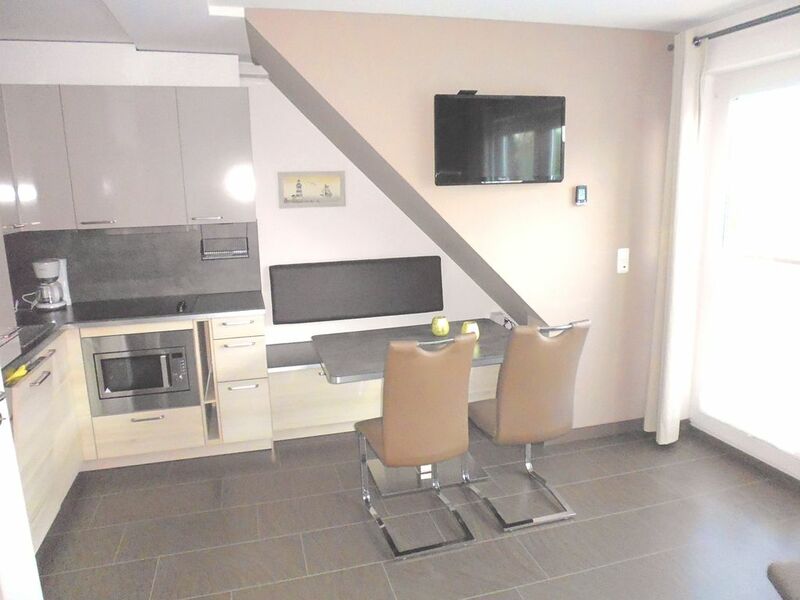 we offer a renovated and well equipped apartment. Your children will feel well, everything you need for daily life can be found in the vicinity. Dorum Neufeld is a holiday village, there are playgrounds a beach, a fishing port, relaxation from stress, fresh sea air, children's playhouse, supermarket and various restaurants.